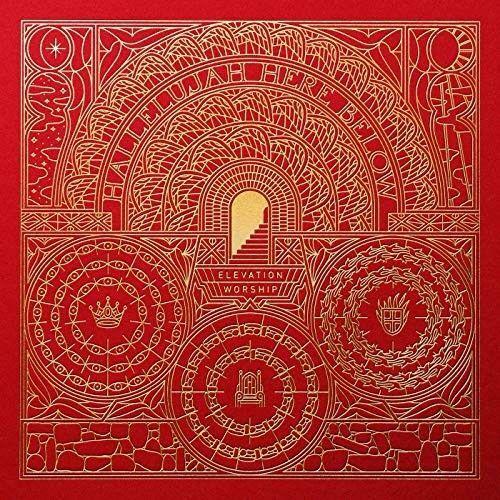 This is the latest album from Elevation Worship, following on from their last album "There Is A Cloud". 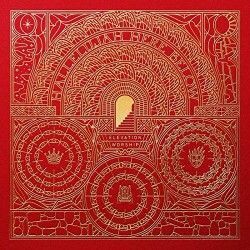 This album is the sixth live worship album from the team at Elevation Worship and they have built up quite a large following over the years. This is a very professional sounding live recording with the team doing a great job of capturing the best of the music, but also the congregation too. The album kicks off with "Won't Stop Now" and it's a fairly standard start to the album with the building tones and the audience vaguely clapping in time in the background. This is very much a call to the Spirit and a call to worship asking the Lord's presence to come like never before. This is an opening track that has a 7 minute running time, which when disjointed from the actual event, it seems like an awfully unnecessarily long track. "God of the Promise" is a much shorter track about God's word and actions against the enemy, and that God's promises will happen. This is a brisk 4 minutes pop-worship, but I can't get over how it actually feels quite aggressive in it's tone especially the way some things are phrased, like "Light of the world, trample the darkness". The title track is a slow-building track which layers up the sounds, this song is really easy to grasp hold of, possibly because the chorus is a lot of repetition, but it works quite well and unlike some 7 minute plus songs on this album it doesn't seem to outstay it's welcome too much. I also like the next track "Here Again" which talks about the need to meet with Jesus in the middle of our stormy lives. We can see the work of God in our past, we can have hope for the future, but it's only in the middle, in the now that we can actually meet with Him, it's only really this moment that is important. There are some beautiful pictures shaped in these verses such as the glory of the Lord being shown through our weakness, like the sun casting our weakness as shadow. Once again this track is a little long and sadly because of the pace and style these lyrics are not given a chance to stand out and shine. Although the songs on this album have some variation there isn't enough to allow these songs to really feel special and stand out from the crowd. Having said that "Echo" starts out a little different and has more of an EDM vibe than many of the other tracks. As mentioned above it is this track that benefits from Tauren Wells bringing his vocals to the album. 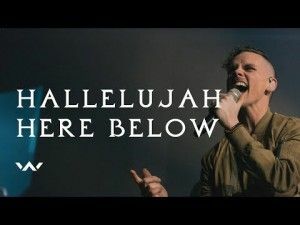 I am not sure that this song would sound all that different with the normal Elevation Worship leaders, but the song is quick and upbeat and something that is needed at this point of the release. At this point the backing drops to just the piano and the female vocals but the track soon takes on the all-too-common build up for the song which ends up with the crescendo of the chorus repeated with the full sonic experience having kicked in. Sadly this is done too many times on this album, I would have loved to hear "Worthy" in the studio. Straight after this they do exactly the same thing with "Mighty God (Another Hallelujah)", although this time it's with a male lead worshipper. It gets to the stage where you end up not even listening to the lyrics because you have just filtered them out because of the sameness of the musical build up. "Power" has the same build, it's not quite the same sound with this track and the vocalist manages to power over the building backing, but it's definitely a formula and a rut that these songs have got stuck in. This is a shame because the verses do have some good lyrics, but they get lost and buried in this build up of the ever-repeated chorus and bridge. If you aren't really paying attention then you will miss out on some great thoughts about worship that do come through some of these tracks. "Greater Than Your Love" looks at why God would want us, with our broken hearts and all our shame, but looks at the way that God has healed us and that God finds us wherever we are and pours His grace on us. Looking at the track listing on my review copy of the CD it appears that a couple of the tracks on this album have been cut out, whether that is just on the physical version or whether this is to do with a UK release being different to the US version. My version is missing "Then He Rose" and "Still God" which appear in the iTunes listing above which seems odd. So this version of the album rounds out with "Faithful" which suffers the same slow build up issue as tracks before it, then "Here Comes Heaven" which is an ideal track for Christmas lyrically, but musically it sounds pretty much like anything else on the album. The last track, whichever version you have, is "Better Word" which seems to be based on inspiration from "Nothing But The Blood of Jesus" and again this has some good lyrics in the verses but these are largely abandoned after the first couple of minutes for a building and repetitive chorus and bridge for the remaining minutes of the track. There is a good album buried in here somewhere, but it's hard to find, because it's hidden in a malaise of same-sounding music and similar styles for much of the album. I listened to this album a number of times before I could bring myself to write about it. Sometimes it's good to go off and do your own thing and stand out from the crowd. I think Elevation Worship have the song-writing ability to do this, but the drive to be commercially viable and released for the yearly album shaves a lot of creativity down and ultimately although tracks start off sounding unique they all end following the same pattern. I know that the way we consume music has changed and these days we don't listen to an album from beginning to end, but people still do an they want tracks that vary in style and tone. I could play any of these tracks on the radio and people will like them as a one off, but when you put these altogether it just gets tuned out because it sounds so similar one track after another.